What‘s in it for development aid? Crowdfunding> What‘s in it for development aid? What's in it for development aid? countries agreed to co-finance the project: the statue itself was to be funded by the people of France, Americans were to provide the pedestal and the site. But fundraising proved difficult on both sides. 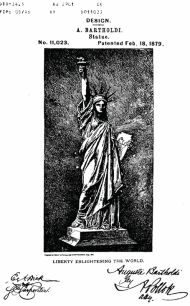 To raise money for this unique project, the French-American Union organized a lottery and other events, Bartholdi even sold miniature statues, on which the name of each buyer was engraved. a fundraising marathon, promising to mention the name of every donor in his newspaper. After six month it was done: in August 1885 more than $120,000 were raised by the American population to complete the pedestal and transport the statue to the United States. Most of the contributions were smaller than a dollar. The Statue of Liberty is thought to be one of the first documented crowdfunding projects. 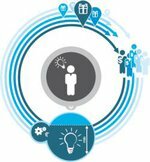 tool with its own infrastructure in the form of crowdfunding-platforms (CFPs). According to the Crowdfunding Industry Report, published by private company Massolution, there are currently more than 450 CFPs worldwide, a decade since the first platforms emerged shortly after the turn of the millennium. The first sectors to embrace crowdfunding were the music and film industries. Hip Hop-legends Public Enemy pledged over € 59,000 to support the band’s comeback-plans. crowdfunding hype that continues to date. In 2006, Berlin-based company Betterplace started its crowd donation services, addressing “charitable organisations, but also small grassroots initiatives round the corner from you, or anywhere in the world,” according to its website. After the devastating earthquake that shook Haiti in 2010, more than €750,000 were donated to disaster relief measures through Betterplace. "Bulding from the 'Crowd' is the Base of which all depends on and is built on." Since then, crowdfunding has been established as a standard term for describing a joint network of funders of cultural and development projects and ventures. Wolfgang Gumpelmaier is an independent digital media consultant and one of the leading crowdfunding experts in Austria. He runs several blogs, e.g. on gumpelmaier.net he writes about Social Media in general. Jörg Eisfeld-Reschke has conducted the first crowdfunding study in Germany in 2011 and written many articles since. He runs www.sozialmarketing.de – a blog about fundraising and digital communication for Non-Governmental-Organisations.